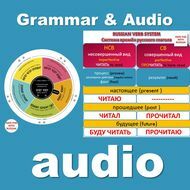 The Russian Grammar Activator via drilling patterns ranged with the cases and verbs aspect. 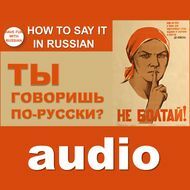 This is a real trouble shooter for those who have been learning Russian for ages. 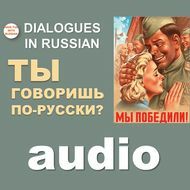 More than 60 audio clips with examples of usage. More than 60 audio clips ranged with the cases and verbs aspects. After making a payment you will get an access to all MP3 recordings. 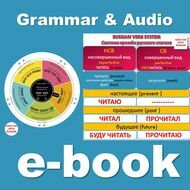 If you download all the “Grammar and Audio” audio clips, you get a “Grammar and Audio” e-book FREE. 30 Dialogues (A2 -C1) Level. Russian-English, info section, cartoons, 63 pages. 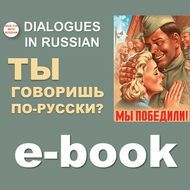 If you download all the “Dialogues” audio clips, you get a “Dialogues” e-book FREE. More than 500 phrases for everyday communication with translation, transcription and examples of usage, cartoons, 92 pages. 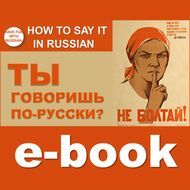 Make your Russian “live”. 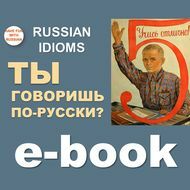 More than 50 popular Russian idioms with translation and examples of usage. 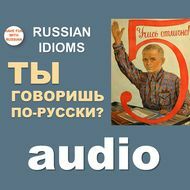 More than 50 popular Russian idioms (audio clips) which make you remember all these idioms in no time. Грамматика, фонетика, фразы, речевой и грамматический практикум, тестирование. Все материалы включены: тексты, аудио, видео и анимация. 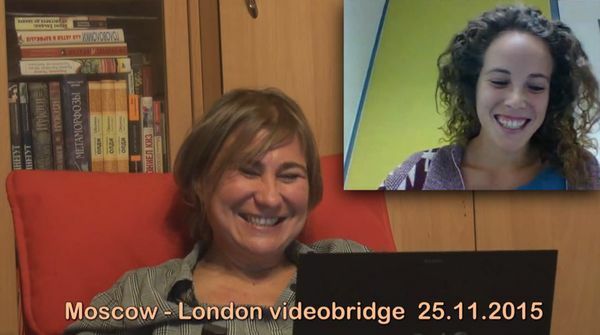 Grammar and Phonetics – Phrases Activator – Drilling – Reading – Speaking – Testing with all the HFWR’s learning materials (e-books and audio/video/flash) available. 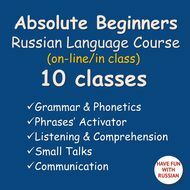 10 уроков (20часов)/ 10 lessons (20 hours) Грамматика, бизнес коммуникация: встречи, переговоры, презентации, деловые письма. Все материалы включены: тексты, аудио, видео и анимация. Разные уровни сложности (A1 – C2). Сложность курса зависит от уровня студента. Тестирование. 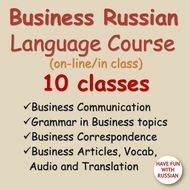 Business Communication - Grammar in Business topics - Reading & Discussions - Business Correspondence– Listening & Comprehension with all the HFWR’s learning materials (e-books and audio/video/flash) available). For different levels (А1-С2). The level depends on a student’s language competence. Testing. with all the materials available! Русская и английская глагольные системы. Сравнительный анализ. Russian and English Verb System. Comparison Analyses. Загадки русского алфавита. The Riddles of the Russian Alphabet. Виды глаголов. Aspects of the Russian Verbs. Глаголы движения. Verbs of Motion. Глаголы движения с приставками. VerbsMotionwithPrefixes. Падежный тренинг: задания и упражнения по каждому падежу. Cases and exercises. Глагольный тренинг: задания и упражнения по видам глагола, временной системе русского глагола, модальным глаголам. Verbs and exercises.